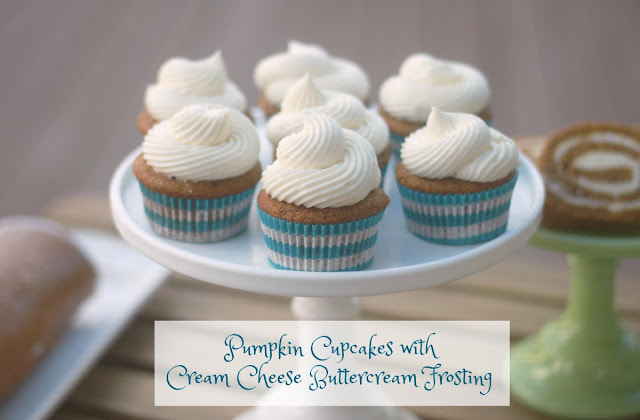 It is a toss up for my favorite between my previous post of Pumpkin Cake Roll and these Pumpkin Cupcakes. 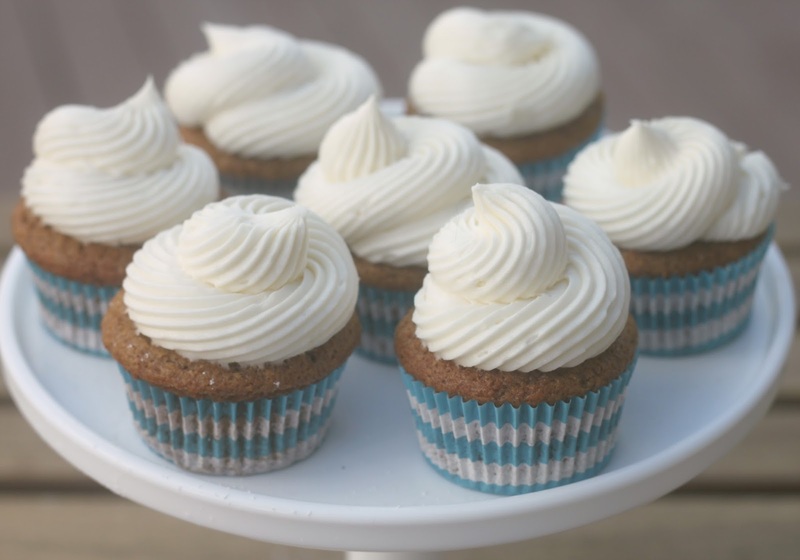 These cupcakes are super moist and have just the right blend of spices. I love cinnamon/nutmeg/allspice and cloves in my fall desserts! I store my cupcakes in the refrigerator since the icing is made with cream cheese. The icing gets a little hard when in the refrigerator but if you set your cupcake out on the counter about 8 to 10 minutes before eating the icing softens up and is super creamy. I like that the recipe makes 12-15 cupcakes this way I am not tempted all week with these scrumptious cupcakes in my refrigerator. Mix together the oil and sugar. Add eggs, pumpkin and vanilla, mix well. Add Cinnamon, nutmeg, cloves, allspice, baking powder, baking soda, salt and flour and mix until all combined. Spoon batter into cupcake liners. Bake in 350 degree oven for 18-22 minutes. Cool before icing. Icing: Mix all icing ingredients together until smooth. Ice cupcakes and enjoy. Store left over cupcakes in the refrigerator. Your recipe for the cupcakes looks yummy! Thanks for sharing at the #InspirationSpotlight party. Shared. These cupcakes look so delish! I pinned to my Autumn board to try later. Thanks for sharing your recipe at Funtastic Friday. 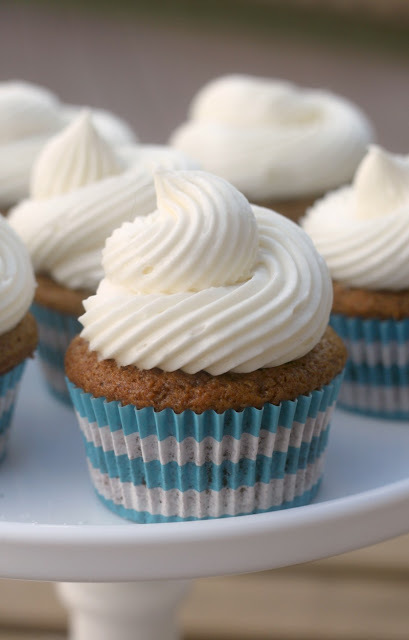 The frosting on these is perfection!